The federal court overseeing thousands of Taxotere lawsuits filed over the chemotherapy drugs’ alleged potential to cause permanent hair loss will convene five bellwether trials beginning in May 2019. 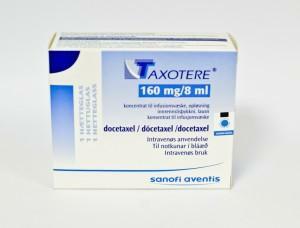 Taxotere (docetaxel) is a chemotherapy drug marketed by Sanofi-Aventis. It was initially approved by the U.S. Food & Drug Administration (FDA) in 1996 to treat breast cancer. However, its approved indications have since been expanded to include the treatment of head and neck cancer, gastric cancer, prostate cancer and non-small cell lung cancer. The first generic version of docetaxel was approved by the FDA in 2010. Temporary hair loss is a common side effect of most chemotherapy agents. However, Taxotere hair loss plaintiffs allege that alopecia associated with docetaxel is far more likely to be permanent compared to equally effective alternative medications. Among other things, their complaints note that the European medical community was informed of the potential for docetaxel-induced permanent hair loss in 2005, while the Canadian Taxotere label underwent a similar modification in 2012. However, mention of this potential side effect was not added to the U.S. label until 2015. More than 8,700 Taxotere lawsuits are currently pending in the Eastern District of Louisiana, where all federally-filed hair loss claims involving the drug have been centralized in a multidistrict litigation to facilitate coordinated discovery and other pretrial proceedings. The litigation’s bellwether trials are intended to serve as test cases, and their verdicts could provide insight into how other juries will decide similar Taxotere lawsuits. While there is no guarantee, bellwether trial verdicts also sometimes help pave the way for a global settlement of all claims pending in a multidistrict litigation.